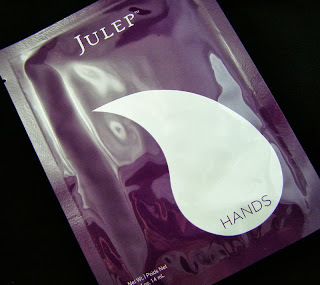 Way back, I got the Julep Supernova Mystery Box. Along with eight fairly awesome polishes, I also received a trio of moisture masks. There was one for hands, feet, and nails. I decided to try the one for hands, as the shifting hot-to-cold weather is driving my skin nuts. My hands aren't in awful shape, my skin is just a bit on the dry side. I figured these would be good for me, since I don't need a lot of help. I have to admit, I was not impressed. The glove is weird. 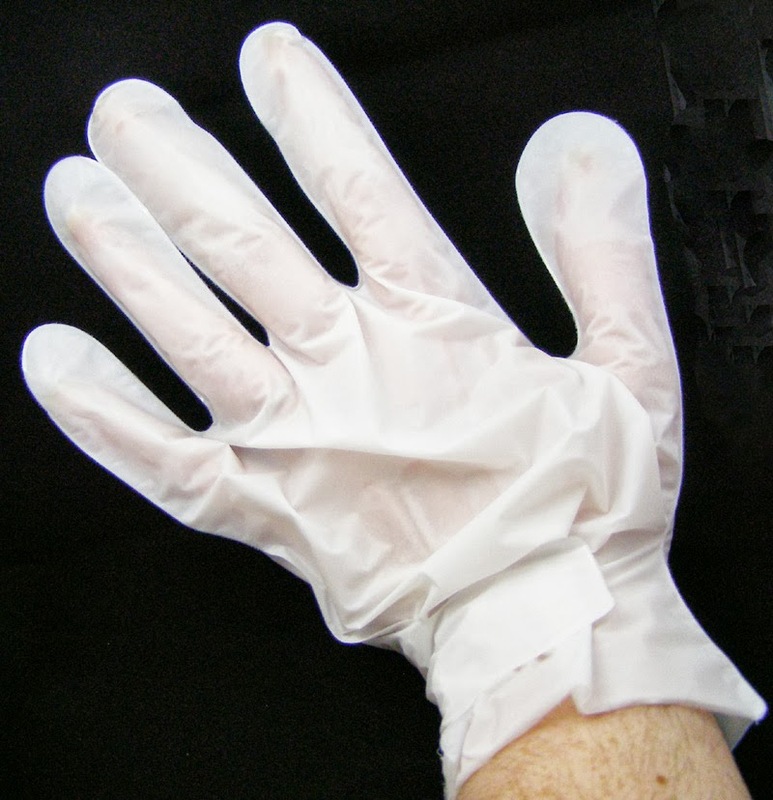 It's not dissimilar from the cheap gloves you get with a box of hair color, albeit slightly thicker. 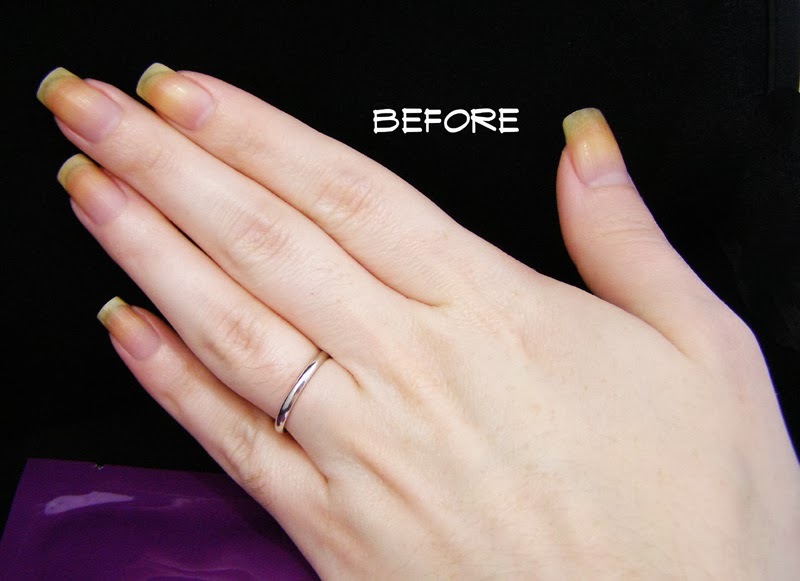 The fingers are also a bit short, so if you have longer nails and long fingers like me, they aren't going to fit well. Inside, there is a membrane that reminds me of fusible interfacing and a bunch of nice smelling goo. You slide your hand in between the membranes and secure the wrist closed with a tiny nublet of tape. Then...we wait. For 30 minutes. If you are doing this alone, you might want to loosen the tape nublet on both gloves prior to wearing...I had to have help securing the right one. I didn't really notice a difference, to be frank. My hands definitely did not feel more moisturized immediately after. There was also an excess of goo leftover, which I was supposed to rub into my skin. I ended up having to rinse and pat dry after about 10 minutes of massaging the goo into my skin. 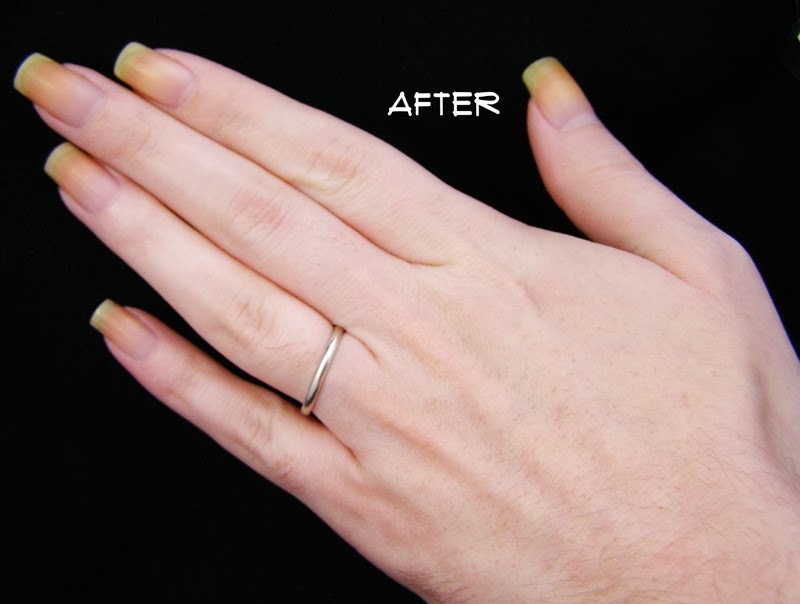 I actually had to oil my nails and apply a little lotion to the backs of my hands. The next day, my skin does feel soft, but I don't attribute that to the mask so much as my regular hand lotion. The trio of masks retails for $20. Which means this is $6.66 worth of mask I used...I wouldn't pay for it. I honestly don't know if this is any more moisturizing than a bunch of lotion into a rubber glove. Which, btw, I could totally do for less than $6.66. I have yet to try the other two masks, so I will reserve judgement about this product until then.